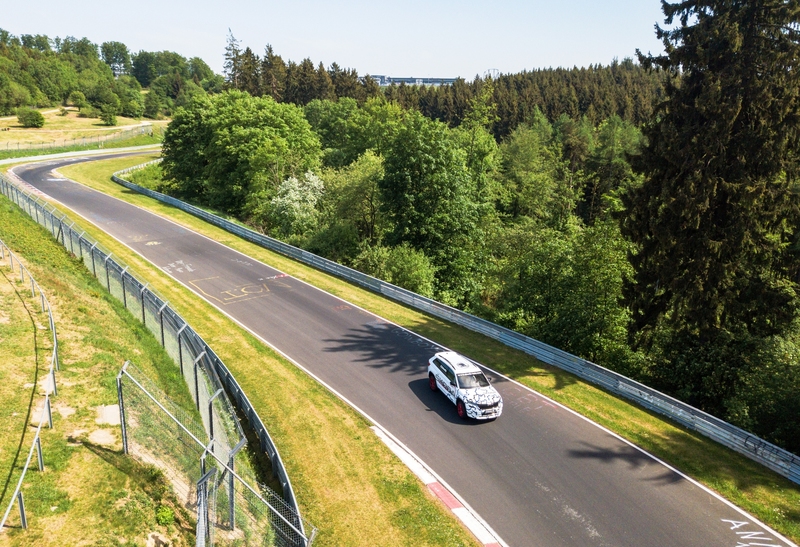 Renowned racing driver and motoring personality Sabine Schmitz set the fastest lap for a seven-seater SUV around the Nurburgring’s legendary Nordschleife in the Skoda Kodiaq vRS clocking a time of 9:29.84. 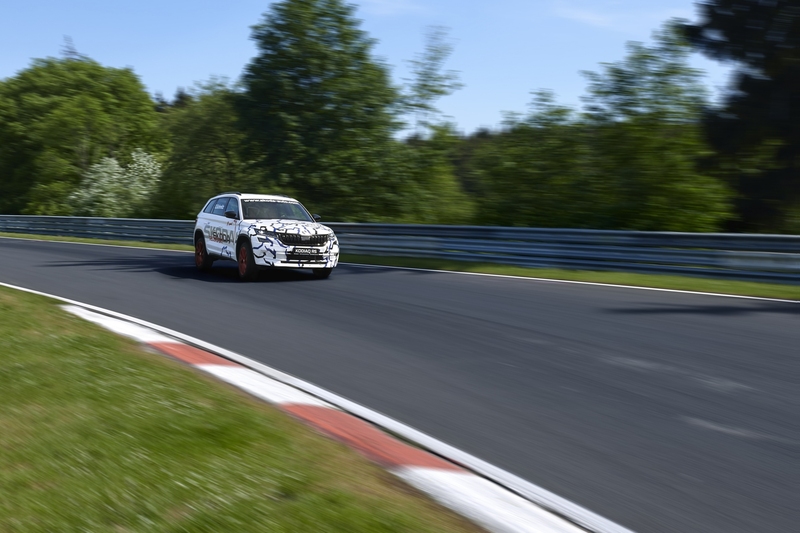 For the record-breaking performance, Czech car manufacturer Skoda called upon Nurburgring native Schmitz to pilot its first and yet-to-be-launched high-performance SUV around the 12.9-mile circuit. Sabine is a regular participant in the VLN Endurance Racing Championship at the Nurburgring and in 1996, she became the first woman to win the 24-hour race—an achievement she repeated the following year. She has also served as the ‘Ring Taxi’ driver and “has driven more than 30,000 laps on the Nordschleife to date," according to Skoda. 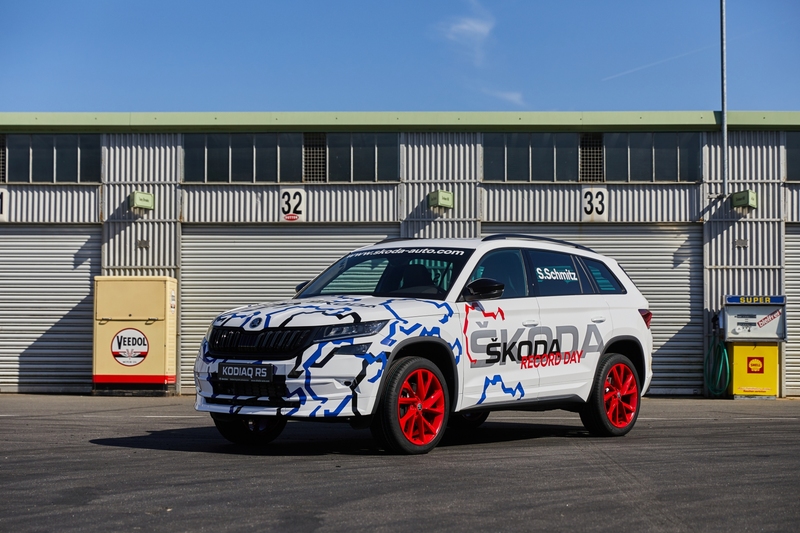 Sabine Schmitz touted the aptitude of the Kodiaq vRS, saying that it's "great fun on the track" and that the Skoda brand has "made full use of its large SUV’s potential." The new Skoda Kodiaq vRS is powered by an exclusive 2.0-liter BiTDI diesel engine which produces 236 horsepower. It's also equipped with what the European brand calls Dynamic Sound Boost to make sure the “the high-torque diesel engine’s power” is apparent to the ears by piping in the sound through the interior speakers. That being said, not a lot can be heard in the video below, except for some tire screeching and some Skoda-endorsing statements from Sabine. The Kodiaq vRS is also equipped with adaptive Dynamic Chassis Control (DCC) and all-wheel-drive, both of which helped it complete its mission in record time. The go-fast SUV will make its world debut later this year, in October, when it will be presented to public eyes at the 2018 Paris Motor Show. Alfa Romeo continues its Nürburgring dominance with the 505-hp, all-wheel drive Stelvio Quadrifoglio SUV.